I read a lot about basketball. More specifically I read a lot about the NBA, and basketball in general. 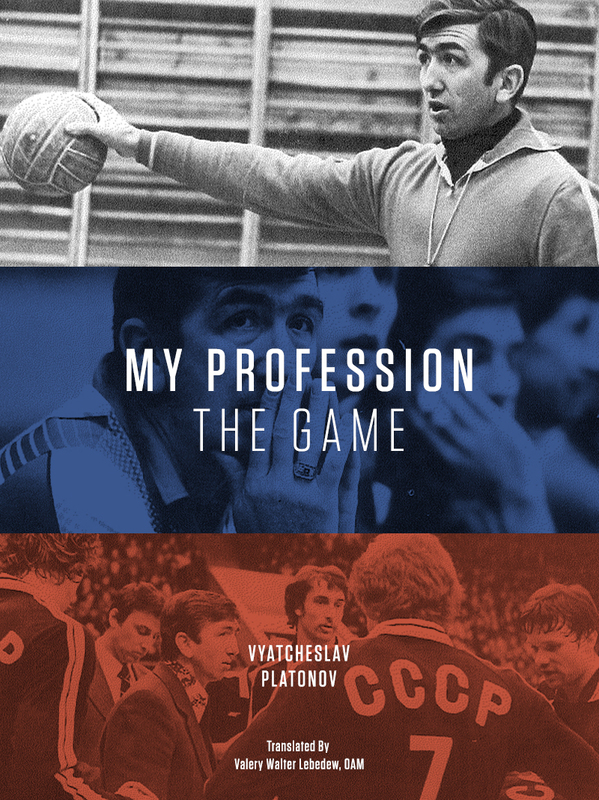 I don’t watch much NBA, or basketball in general, but reading about it has always interested me. The main reason is that at some moment I made the assumption because the size of the teams were similar, there could be a lot to learn about the interactions of players and how teams functioned. Smaller but not insignificant reasons were that I love the way Americans write about sport, and there is a large literature about American sport that is easily available. One of the statements that basketball people always make is that basketball is the ultimate team sport because no single player can dominate in the same way as in other sports. Of course volleyball people say the same thing, but I never really thought much about it. Once, a long, long time ago, a volleyball coach and pedagogic expert told me that the single biggest impediment to volleyball becoming a huge sport is that you can’t practice it by yourself. In all other sports, there are parts of the game that you can practice alone in your driveway or backyard. But in volleyball, there is nothing you can practice without at least one other person. Okay, you can practice serving by yourself. But effectively I don’t think that negates the premise. I was reminded of both of those stories by a post on The Talent Code blog. The post is about the little games that kids invent and play by themselves to learn the sports they play. Examples described included games like Sidney Crosby (the ice hockey player) shooting pucks into his family’s clothes dryer, and Don Bradman hitting golf balls against his rain water tank with a cricket stump. The point of the post is about the importance of play, and these kinds of games in particular, in the learning process. Being the contrarian that I am, I went off in another direction. What goofy little games could a kid who loves volleyball play in his basement or backyard? If the old coach / pedagogue is correct and there are none, wouldn’t that definitively make volleyball the Ultimate Team Sport? 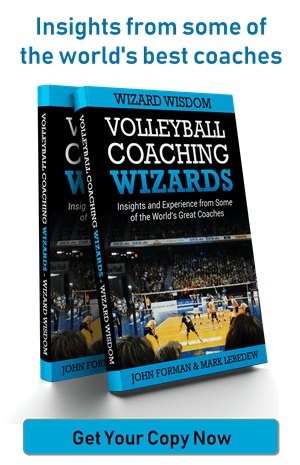 I am often at odds with the local BB coaches because I always refer to volleyball as the purest team sport – where every ball you touch (except serving) is effected by a teammate (or opponent) and absolutely everything you do (or don’t do) with or without the ball effects your teammates. You will never see a great player on a volleyball team make a good defensive stop, then pass-set-hit her way around the court, to score a kill. Yet you often see a single BB player rebound then dribble up court, avoiding every player on the other team to shoot to score two points. Unless you can win a coin toss and then serve 25 aces in a row – you cannot play volleyball without at least one teammate. Yet all it takes for a 1 on 1 basketball game is a ball and a hoop. And I seen kids playing without a hoop, they just used the square on the backboard as a target. You don’t even need an opponent, the same player can play both ways. But get an opponent and you can play all day. The two boys across the street will play 1 on 1 basketball all afternoon in their driveway. I put up a net in the back yard one day and went out to play volleyball with my daughter – she was bored and ready to quit within 5 minutes. One of Wendy and my own delights is spending hours watching Phillip and Matt playing one on one in the front yard. Hours of intense, never say die competition. Nights of sitting in front of the TV setting to themselves during the ads. But once you get a full team on the court, it is all about the team. Or time spent setting against a backboard – is that different to Bradman’s stick? Mmm… I thought of that. The difference I would note, is that in the Bradman case, the rebounds were unpredictable which is the key point. Although not much of a game i spent 100’s of hours setting and knuckling the ball to myself while in my bedroom on my bed. Think dad had to paint the room due to all the ball marks on the ceiling. Actually, I wonder what is important about the question which sport is most team/partner dependent. I guess we can all agree that all of the aforementioned sports do have a strong component from that direction and that practice on your own makes only sense up to a certain point. Since this is a (wonderful!) volleyball-blog, the question becomes which parts of the volleyball-game can be practiced on your own (you cannot practise the real game on your own, see next paragraph). Since the fascinating thing about volleyball to me is it’s complexity, that question is hard to answer, but I would go for something like this: Most aspects in some sense can be practised by a single athlete on his or her own (though it is a huge step of merging these aspects together into the actual game,of course, and that is where other people come in). A very important part of volleyball is the ability of psychological self-regualtion, which obviously can be trained on the personal level. Another important part in information-gathering, -reduction and acting upon that information. That is actually taken place when top-level-midle-blockers are watching videos, trying to determine characteristics of opponent setters. Than there is the whole athletics part, which is trivial. Techniques can be trained in isolation as well as Nathan and Devo mention. Here one might wanna add running and jumping techniques, hitting a fixed ball or throwing the ball hard on the floor in different angles, run for it and then set it on some target (that makes for the “unpredicted angles”, Mark?!) and so forth. Last but not least, thinking (which doesnt’t work to good, if you don’t exchange with others, but never mind) about tactics on all levels is also something that can be done in privacy. By the way, I think to answer the original question (Which is the ultimate team sport?) it is helpful to specify some terms. Here is my suggestion: if we are considering virtually all kinds of sports (difficult to specify what makes some activity a sport, but let’s stick to Olympic sports) then there are some sports that clearly surpass all sport-games in terms of team-dependency, e.g. ice-dancing, water-ballett, sailing certain boat-classes,.. If we focus on games, it seems clear to me that they all naturally involve an opponent (at least in sports, not taken into account the broader sense of “games” which would include Solitaire as an instant), thus David’s point has some validity, although a little 1-on-1-volleyball-match in a narrow but deep play-ground is a lot of fun as well as a good exercise for your reading and technique skills, On the other hand there are wonderful excercises that don’t need an opponent, but simply a partner who is willing to change positions, in order to get through the whole triangle thing.